You all know that I’m a HUGE fan of rugs. I use them in most of my spaces and, actually, just recently, got the cutest mini rug. I think rugs can add so much to a space so today’s podcast episode, Area Rug Placement and Sources, was a no-brainer for me! Rugs can add visual interest, coziness and more to our spaces; but, for some people, it can be difficult deciding what type of rug to buy, where to buy it or what size to buy. Hopefully, after our chat today, you will no longer be confused on any of these issues! Hopefully, you’ll find lots of great information in those posts. Suzannah and I do agree that visuals can be the best thing ever when trying to determine what you need for a space. 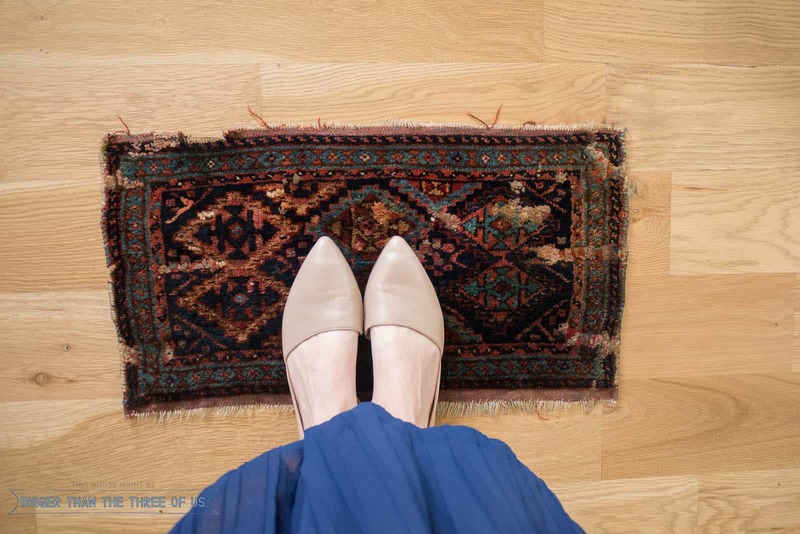 We thought that this post on how to figure out what size rug to buy was great as well as this one that talks about how to to choose the right rug for your space. Suzannah has a favorite Target rug that she has in two colors and just swears by, so that might be something you want to check out as well! If you want to connect more with our podcast, you can find us on Instagram or join our Facebook group! We love talking about our struggles and wins over Instagram and Facebook. So, click above to join in. We’re excited to get to know you.